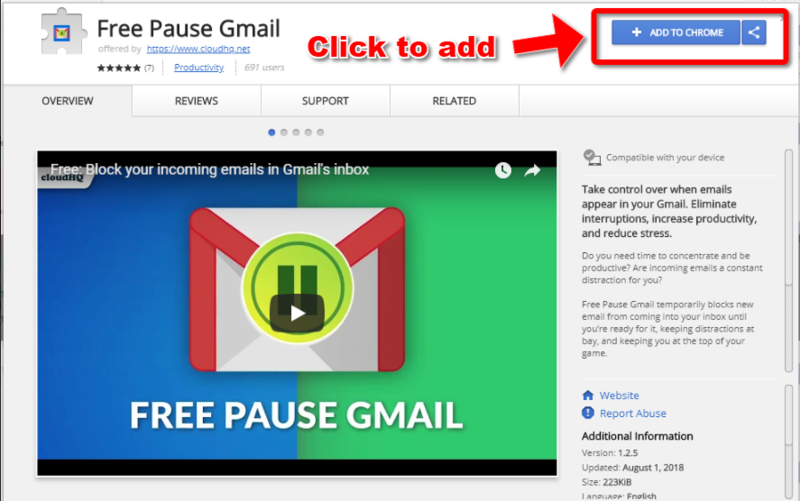 To add Pause Gmail Inbox to your gmail account, just go to the Chrome Store, click the +ADD TO CHROME button. Click Add extension in the popup window. Your inbox will automatically reload, and you’re ready to go. 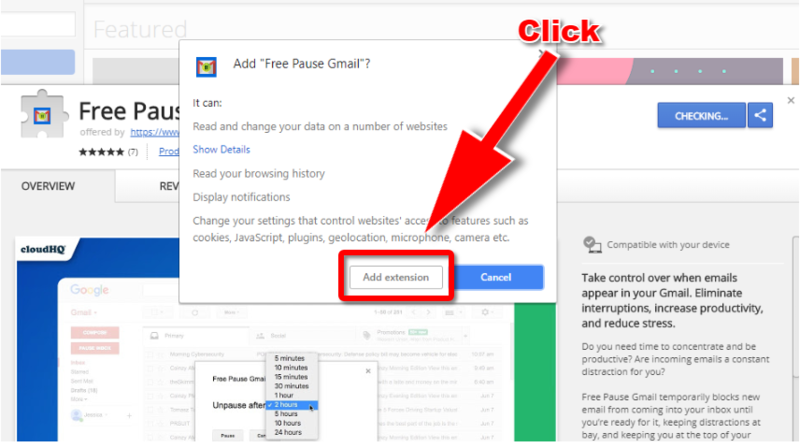 Once you’ve installed the Pause Gmail Inbox extension, you’re ready to go. 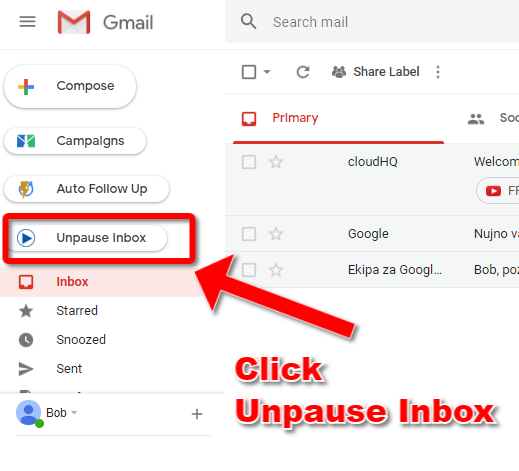 There will be a new button just beneath the regular Compose button in the top left corner of your Gmail inbox called Pause Inbox. Click the new button to get started. Once you’ve clicked Pause Inbox, you’ll get a popup window that says “Unpause After:”. Click the dropdown to select how long you’d like to pause your inbox. You can select anywhere from five minutes to a full 24 hours. Here, I’ve selected 2 hours. Now just click Pause and your inbox will be muted for the selected period of time. And that’s it! Now I have two hours of email-free time to concentrate. Your inbox will automatically resume at the end of the selected period of time. But what if you selected two hours when you only needed one? No problem. Remember that Pause Inbox button? While your inbox is paused, it becomes the Unpause Inbox button. 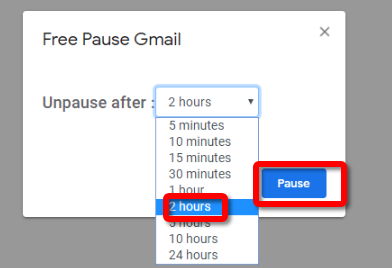 Click it any time during the pause duration to immediately unpause and catch up on your emails!